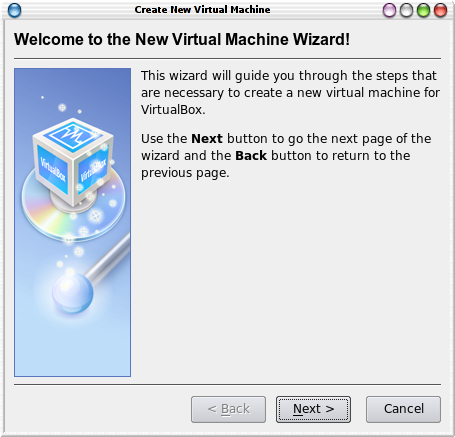 After my last posing about VMWare Server 2.0 i decided to try an additional virtualization machine. 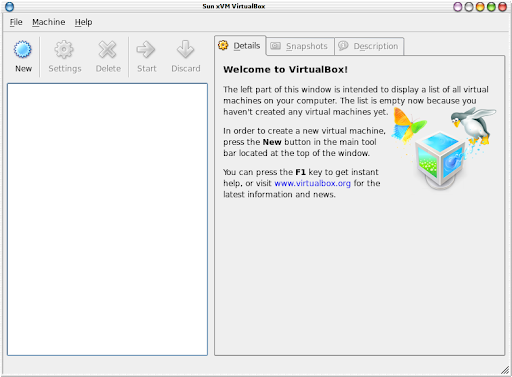 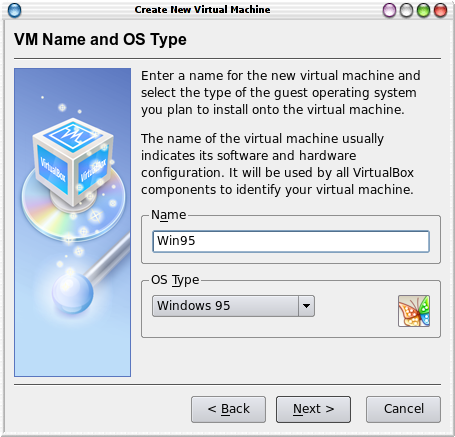 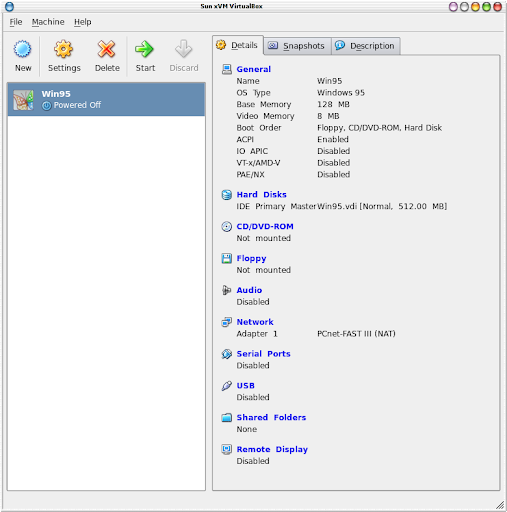 The first solution, which i found was virtual box, which is freely available as Open Source Software under the terms of the GNU General Public License (GPL). 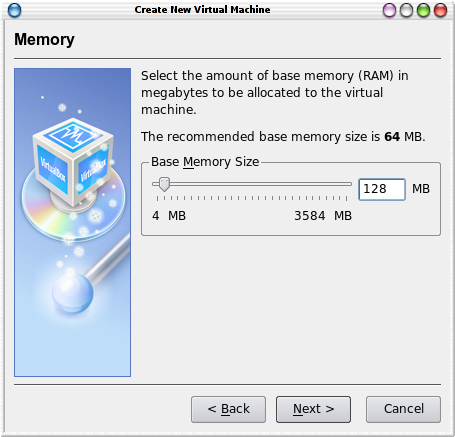 Messages emitted during module compilation will be logged to /var/log/vbox-install.log. 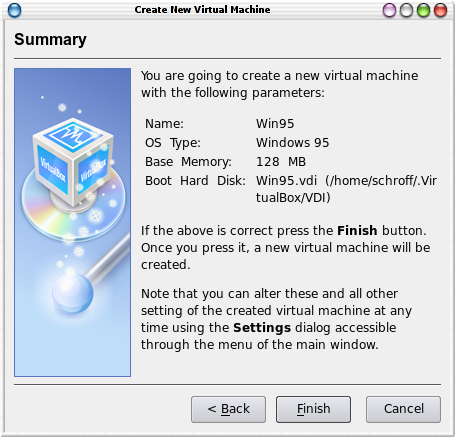 Starting VirtualBox kernel module: done. 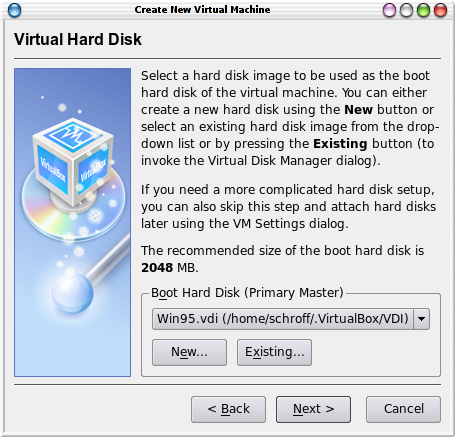 Starting VirtualBox host networking: done. 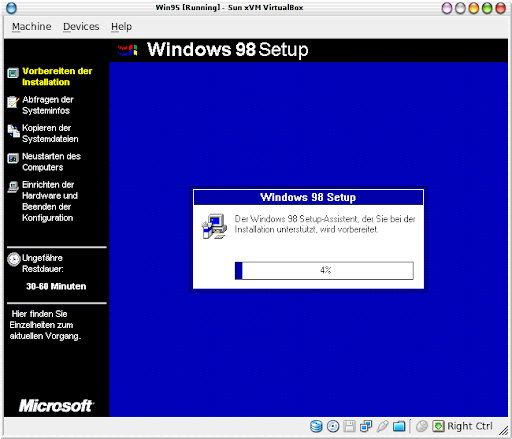 After these configurations the Console shows the first virtual machine and i powered it on. 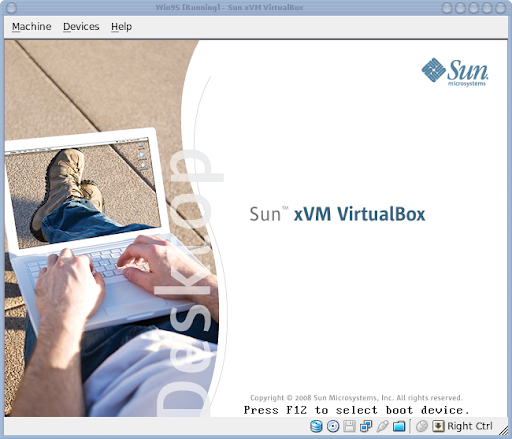 One very nice thing is the user manual, which you can download here, which is excellent.